Here is our third Happy Girl Interview! Suzy Coassin has one of my favorite home decor feed on Instagram. Plenty of plants, a LOT of awesome tips for you to decorate your home in the best ways possible, many decor ideas and beautiful homes featured. 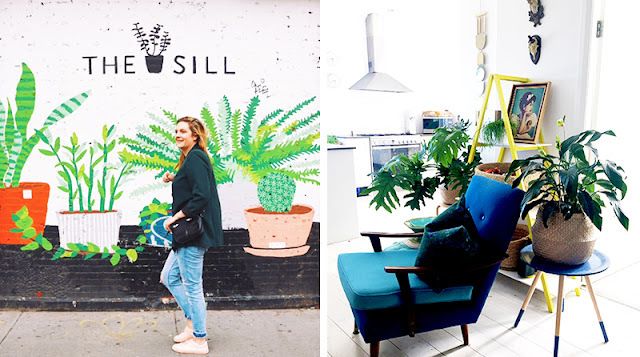 The interior stylist based in Sydney kindly responded to our interview just below. Enjoy! I’am Suzy Coassin, An Australian, interior stylist and the creator & founder behind MomAgency. MomAgency is a Instagram account, and soon to be blog focused on sharing curated, beautiful interior inspiration of decorated homes with a modern bohemian style. MomAgency aims to inspire by creating a #designtip on ‘how-to get the look’ to accompany the room thats chosen to be featured. From product suggestions, interior styling, plant placement, to unique ideas on furniture layout, its a daily guide for either the plant lovers or the people who want a modern bohemian look...or if you like to see gorgeous spaces usually decked out with lot and lots of plant babies (cue the crazy plant lady). MomAgency was created in 2016 when my family received an opportunity to move to New York City with my husbands work. Leaving everything behind including my 9 years at a leading interior decorating studio in Sydney, Australia I decided to create MomAgency with my years of experience as a creative outlet for affordable design ideas and a no excuses guide to a beautifully styled home. The name MomAgency comes purely as I’m a mom with two boys (2.5 years and 5 years). 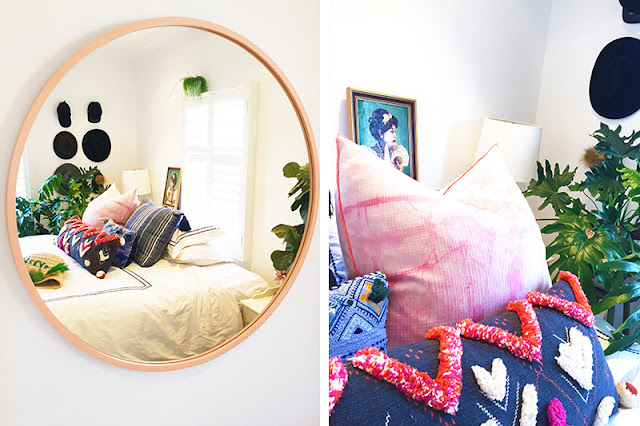 A lot of the homes (not all) are homes of people like me who have small children and keep their love of decorating and design alive by sharing their spaces on Instagram. After a whirlwind 1 year trip in Manhattan in The Big Apple, I’am back based in Sydney, Australia with my young family and building MomAgency as a business and online interior styling consultancy and service. Phew! A lot happened in 1 year!! How would you describe the aesthetic of your space? When it comes to my space I follow my own philosophy that I share with my clients. I fill my space with pieces that I love, that I have collected from my travels over the years, unique thrifted items or my flea market hunting. I’ve decorated an eclectic home for myself with a mixture of pieces and especially a mix of styles. From mid century modern furniture that has been found and reupholstered to bring up to date, to chinoiserie elephant plant stands, to African statues and artworks, all with a hint of beachy boho. My space wouldn’t be complete without a side of basket hoarding and of course total plant overload! It works because its a mix of all the pieces I love personally and I wouldn’t have it any other way. For me and my family that is the key to develop a truly unique home with its own personality. 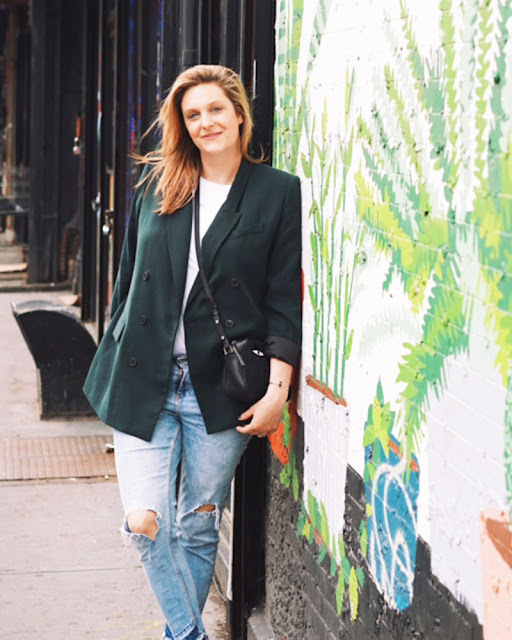 I also try to have my space feeling very casual and relaxed as I have a young family of boys running in and out of the house all day and can’t be precious with my styling. What’s your philosophy when it comes to decorating? When it comes to decorating I believe in more is more and of course breaking the design rules. When designing a space you are told certain design sayings and rules like ‘blue and green should never be seen’ and ‘keep it simple’. Your home should reflect pieces you love and are proud of. I believe that your interior should feel like a home and not like its walked off a designer furniture catalogue. Anyone following you on Instagram knows you love plants. How many do you have in your home? var elem = document.getElementById("7057025618365259587") elem.innerHTML = "